Ultrasound Imaging - BROWN ANIMAL HOSPITAL, P.C. 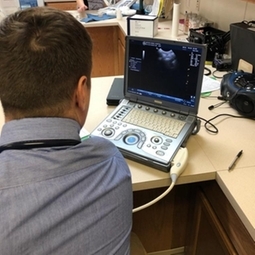 Ultrasound is a diagnostic tool that can be used along side or instead of x-ays. It can also be used in the place of surgery, for example to determine if the patient has swallowed a foreign body. While x-rays examine an entire area, ultrasound is used to examine a specific organ or mass.